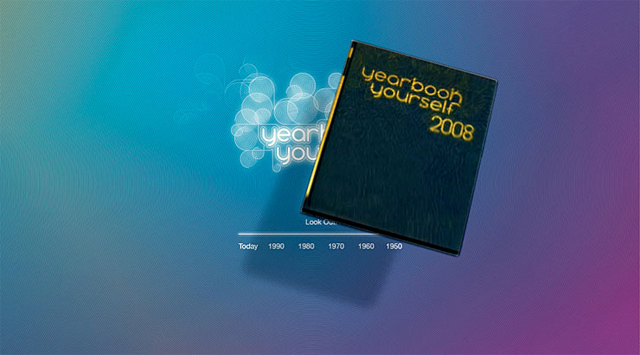 Yearbook Yourself - BrainstormOverload - Small design studio. Big ideas. 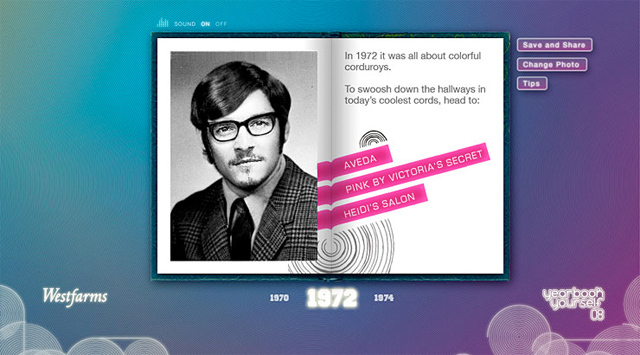 Yearbook Yourself was created while at Colle+McVoy for Taubman which owns a series of shopping malls. It was a challenging project but a great team made it a success that quickly went viral, eventually won a Webby and after the second year was acquired by Jostens. The basic idea is you upload your photo and see your face in a series of retro yearbook photos. We worked with Ratchet on an animated yearbook intro.